Hi , i will provide 40 high trust flow & citation flow backlinks on high DA pages..
★ FASTEST RANKING IMPROVEMENT service. 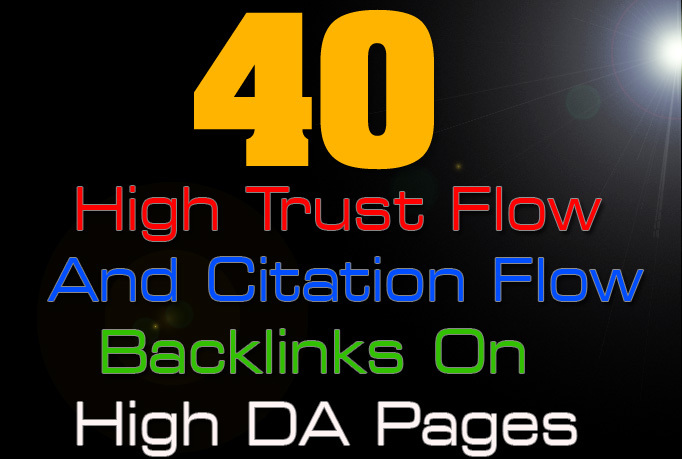 40 high trust flow and citation flow backlinks is ranked 5 out of 5. Based on 13 user reviews.